Accessibility of Ontarians with disabilities is imperative to TSC Stores L.P core values. TSC believes that all customers, employees and vendors/suppliers should be given equal opportunity when it comes to a G.RE.A.T shopping experience and working relationship. At TSC, we care about equality in customer service, communication, employment, procurement and training and therefore endeavor to always improve our commitment and processes around these areas. TSC Stores L.P strives to meet the needs of its employees and customers with disabilities and is working hard to remove and prevent barriers to accessibility. Our organization/business is committed to fulfilling our requirements under the Accessibility for Ontarians with Disabilities Act. This accessibility plan outlines the steps TSC Stores L.P is taking to meet those requirements and to improve opportunities for people with disabilities. Our plan shows how TSC Stores L.P will play its role in making Ontario an accessible province for all Ontarians. This document includes a summary of the accessibility initiatives TSC Stores L.P has completed. TSC Stores L.P has remained in compliance with the Customer Service Standard. Customers who wish to provide feedback on the way TSC provides goods and services to people with disabilities can do so by completing a Customer Feedback Card which can be picked up at any store location or e-mail concerns by going to the TSC website: www.tscstores.com and clicking on “Contact Us” and click on “Customer Service”. All feedback will be directed to the Human Resources Department and Customers can expect to hear back within 2 business days. Complaints will be addressed according to our organization’s regular complaint management procedures. TSC Stores L.P will communicate with people with disabilities in ways that take into account their disability. TSC Stores L.P provides equal opportunity to all candidates. TSC Stores L.P accommodates vendors and suppliers when visiting the Store Support Centre and during distant daily interactions. TSC Stores L.P is committed to providing accessible customer service to people with disabilities. This means that we will provide goods and services to people with disabilities with the same high quality and timeliness as others. TSC Stores L.P is committed to making our information and communications accessible to people with disabilities. TSC will provide accessible formats and communication upon request. TSC Stores L.P is committed to fair and accessible employment practices. TSC Stores L.P will notify all successful applicants of policies for accommodating employees with disabilities. TSC will provide individualized workplace emergency response information to employees who have a disability. TSC will also notify job applicants that TSC Stores L.P will accommodate disabilities during the selection process, notify current staff about the organization’s policies for supporting employees with disabilities and develops individual accommodation plans for employees with disabilities. TSC Stores L.P is committed to accessible procurement processes. TSC Stores L.P is committed to providing training in the requirements of Ontario’s accessibility laws and the Ontario Human Rights Code as it applies to people with disabilities. TSC will also provide training on equipment and devices that are available within the organization. 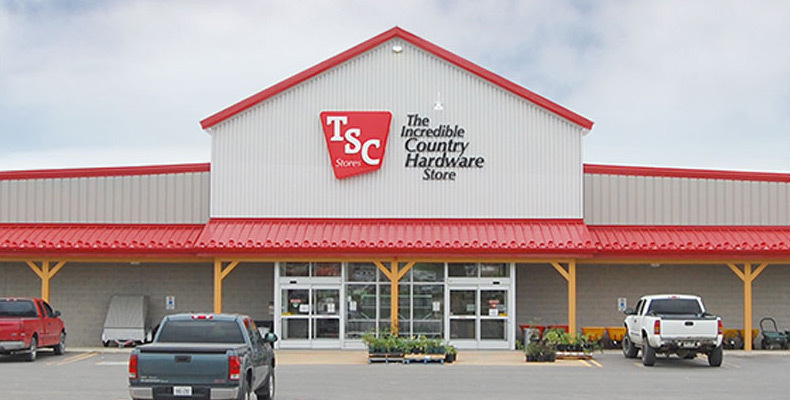 519-453-5270 ext 6025 or humanresources2@tscstores.com. Standard and accessible formats of this document are free on request from the HR Assistant. TSC Stores L.P will update and review the accessibility plan once every five years.